Tax and earning come hand in hand when it comes to the eyes of the government. Not just recently Bitcoin (crypto) was considered a taxable asset that people should be paying taxes for. There has been a lot of websites that recently popped up providing tax services for people/traders that are in need. Can you imagine going through all the transactions (if you are a busy trader) that you have done within a week of active trading? No one ever thought that this will happen one day, but that day has come, and the IRS is looking for people that are not paying their taxes well. Today, we will be talking about Cointracking.info; a website that has been operating since 2013, way before Bitcoin was considered a taxable asset! The website provides its registered account holders to be able to keep track of all their owned digital assets and generate reports for gains that can be taxed or not. They also provide tax reports for owned Bitcoin and other cryptocurrencies. Without further delay, let’s talk about that! 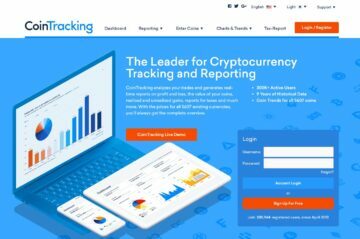 Registration is required for people that want to have an account with Cointracking.info but people that just want to take a peak will be able to go through their live demo and browse the websites’ features. In addition, people that want to keep everything low-profiled they can create an anonymous account as well. If you want to create an account with them, simply head to their website and click Login/ Register on the upper left-hand side of the homepage. As mentioned, people will be able to create an anonymous account by not providing any email information. 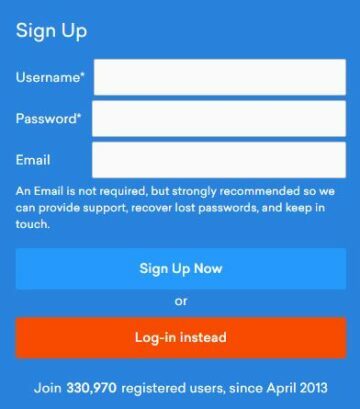 Please be advised that this option should be thought of properly since anonymous accounts that do not have any email information will have a hard time receiving support and recover any lost passwords. We opt for not providing any email addresses and just went on with it. The experience is quite refreshing since most of the time people need to have email addresses in order to create an account. After providing the username and password, the user will then be redirected to a page wherein the currencies and languages need to be selected. Shortly after selecting the required fields, you will be automatically transferred to your account dashboard wherein users will be able to sell all the websites they support. Websites supported are as important as the services that a tax website offers. 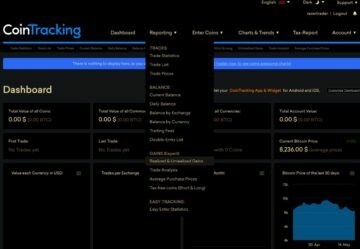 Here at Cointracking.info, users will be able to import data from websites like Binance, Bitcoin.de, Bitfinex, Bitpanda, Bistamp, Bittrex, BTC Markets, Bter, BX Thailand, CampBX, CEX, Circle, Coinbase, Coinmate, Cryptopia, GDAX, Gemini, HitBTC, Kraken, Localbitcoins, Mercatox, OKCoin, Poloniex, QuadrigaCX, TradeSatoshi, Uphold, Vircurex, WEX, and Zyado. As mentioned earlier, the website accepts manual and API data uploads. Aside from exchange websites, they also support crypto wallet imports. Of course, to start using the website’s services, one must upload their data into it. Users will be able to import data with the use of manual methods or automatic API’s by going through the “Enter Coins” menu located on the account dashboard which is shown in the screenshot above. The enter coins page will contain all the different importing methods that a user can access easily. 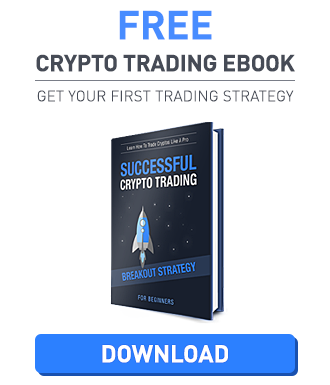 If you are an average trader that just wants to have good taxation practices, then having a free account is not a problem at all. For people that handle more trades on a regular basis then upgrading the default account is the way to go. Their services platform is easy to use once you get a hang of all the features. To access all the reporting tabs, all you need to do is click “Reporting” on the upper part of the account dashboard and select between three main subcategories with the likes of Trades, Balance, and Gains. The tax report tab can also be accessed within the dashboard for easy access. One of the greatest assets that the website has to offer will be their ability to provide a live demo account for people that are interested in getting to know the website better without having the hassle to go through any registration. Talking about registrations the website also supports anonymous account creation which is awesome for people that just want to calculate their gains and not have their record public. API, CSV, Excel, and Crypto Wallet imports are also supported by the website making the transfer of data very easy for their users. The account dashboard can also be customized to provide a more “personal” feel. They also offer a referral program perfect for people that have a lot of friends that are looking for crypto tax services website. The website does not have any listed phone numbers for people that want to talk to an operator for faster resolution but instead, they offer a robust FAQ section and a ticketing system that registered customers will be able to use to contact them. Overall, the website is awesome with a lot of features to offer. Their live demo account is what separates them from the rest of the websites today that offer the same services that they do. The only issue is that new customers might find it hard to go through their features since they have a lot to offer! Once that “new feel” has been broken, users will find the website very informative and helpful when it comes to providing tax reports.